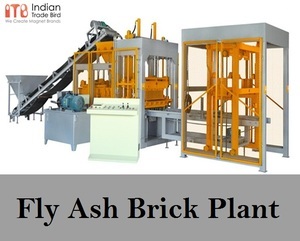 Get Fly Ash Brick Plant at IndianTradeBird from the leading manufacturers, suppliers & exporters. This machine minimizes the requirement of wood & steel pallets by laying blocks on the concrete floors. This machine uses less cement and can produce any type of blocks. These machines are manufactured from good quality material that makes them highly durable, resistance.